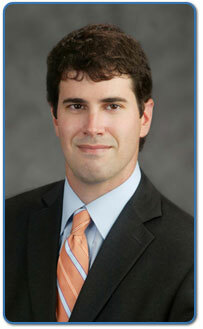 Greg Popowitz is a partner in our Fort Lauderdale office. He is a Registered Patent Attorney with the United States Patent & Trademark Office and focuses his practice on Intellectual Property. Mr. Popowitz helps clients protect their Intellectual Property through patent, trademark, and copyright law. This includes the prosecution of patents and trademarks, licensing, co-existence agreements, evaluating new inventions and technology, and litigation. Mr. Popowitz enjoys counseling clients on the various mechanisms available to protect their Intellectual Property, which ultimately adds value to their business. Mr. Popowitz's practice also includes Business Litigation & Dispute Resolution and Creditors Rights and Bankruptcy. His experience includes creditor rights litigation, commercial litigation, appeals, and securitizations. Contact Mr. Popowitz to discuss your Intellectual Property and Business Litigation needs.